A Development Approval, Development Application or “DA” as the common abbreviation refers to an approval required from a government body to be granted development approval, renovate a property or make changes to a parcel of land. The most common development approval is issued by your local Council. State Government Departments can also issue these approvals, although local Council’s issue the bulk of these. A DA is normally associated with two principal types of activity and it is good to appreciate the difference. The first type of a development approval is for a new land use. This is a town planning approval and is most commonly applied for with the help of a town planning consultant. This is your “DA”. This is issued by Council and examples include approvals for a new building, subdivision or multi-unit development. The second type of development approval is a Building Approval. This is the actual approval that allows you to commence building work. This is your “BA”. The Noosa Council /Sunshine Coast and Brisbane City Council’s all have slightly different stipulations. There is a great deal of useful information on the various Council websites, however often very convoluted and difficult to follow (even at times for professionals). The power for Council’s and Private Certifiers to issue approvals comes from the Sustainable Planning Act 2009. This is the legislation that control development in Queensland. making a material change of use of premises. Terms such as Material Change of Use (MCU) and Reconfiguring a Lot are types of town planning approvals. In The state of Queensland a building approval is issued no longer handled by local council, instead it has been outsourced to Private Certifiers. “DA/ BA”. A DA, or the town planning approval, is obtained first. This is followed by the BA, or building approval. You don’t always need both a DA and BA. 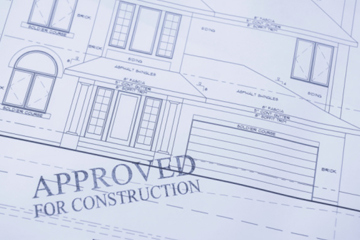 Commonly a Building Approval is only required to start building work.